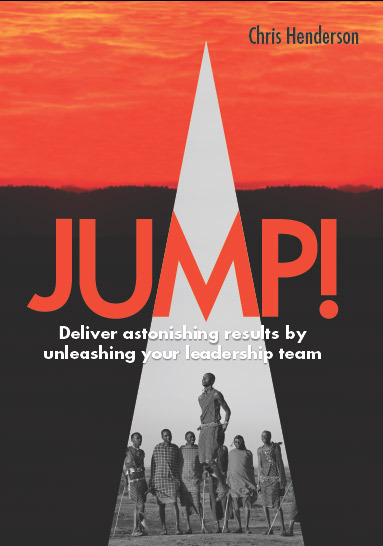 Creating a high performing top team is the single highest value opportunity available to every team leader – as it accelerates the delivery of every other major initiative. We’ve spoken to many members of high performing teams. What they told us about how it was to work in this way was remarkably consistent. There was a clear, simple and inspiring goal that your high performing team was aligned behind – and which helped you to rally your troops and make difficult decisions. Your financial and customer ambitions added up to a career high point that you’d all be proud enough to still be telling stories about 20 years from now. Your team was focused on the big issues required to take the organisation forward. Everyone knew what they were, why they matter and what’s being done to resolve them. Team meetings were productive and motivating – filled with robust, searching and productive debates about the most important issues. Team members held each other to account for both delivery and the highest standards of behaviour. Your leadership team is talked about across the organisation, and beyond, as a model of co-operation and leading by example. Everyone was working towards organisational goals rather than personal or departmental agendas. Conflict exists but is focused on understanding and finding resolutions to the complex and ambiguous issues holding back your team performance. The leaders around you in the team have pride and respect for the team and each other – which is projected to others in the organisation. Work was enjoyable and came without the slog. Supporting one another and using the talents in the team brings results more easily and takes away the need for working every evening and weekend. As well as delivering dramatically increased results, you will be able to remove yourself and the rest of the team from the frantic hamster wheel of fire fighting current issues. Your work would be more motivating and exciting – and you’d truly be changing the game in your organisation and market. All of these things are the product of having the right conversations in your leadership team. We call them Game Changing Conversations. There are six types – and they have to take place in the right environment and in the right sequence. Our team have broad and deep experience of working in high performing leadership teams in a range of large organisations. We know what it is like to do the jobs that our clients are faced with. We will help you create the environment for these conversations to become an easy, natural and sustainable way to deliver extraordinary results – so that the work moves from climbing a mountain to running downhill. We can help you to create a clear, coherent program that will ensure that these conversations take place in order to make the shift you seek. It will be focused on the business ambitions and team performance that you want to produce. Rather than being something else to do, these conversations become the way you deliver on your existing priorities. As well as game changing results, work will become easier and more fun. You’ll be pulling together with a group of people you value and trust to make changes that you all really care about.